Endless street parties, colourful parades, outrageous costumes and food and beer galore; this is what is to be expected during carnival time in Maastricht. This carnival is a celebration of life and is a time when the world gets turned upside down. It is thought that it is a historical mechanism of escape for those who feel stripped of their freedom and gives them the chance to be an individual. The festival starts with the hoisting of the celebratory flag among sounds of cannon fire in the Vrijthof Square, all in the presence of the “greengrocer woman”, who is a traditional symbol of good fortune. Every year there is a new “Prince Carnaval” and his “Council of Eleven” who get given the key to the city. Then the party really gets going as the hundreds of people who have adopted vibrant guises and masks, join the parade of colourful floats that weave throughout the town. Pubs and restaurants usually clear the floors so that all that is left standing are the beer taps. Festival goers enter pubs then talk, dance, sing special carnival songs and drink with complete strangers and skip on to their next watering hole. 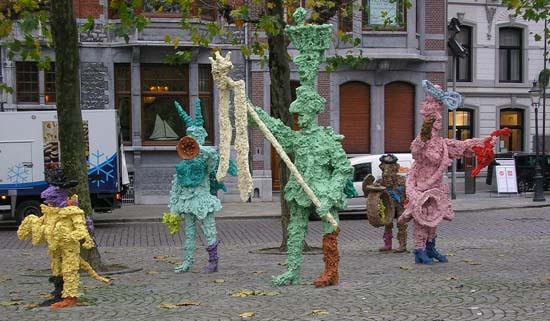 It is an event of pure freedom and fun and is the largest in the southern region of The Netherlands. This is a celebration of life, fertility and nature, all topical themes for a post winter period. It is traditionally a Catholic festival and in keeping with their Lent traditions, many people do not eat meat during the celebrations. This year the festivities begin on 15th February and look set to be better than ever! Visit the official website for more details. Once off the ferry and in the car many people tend to race through Northern France, to slightly more exotic locations, but just 90 minutes drive south of Calais is an often missed treat, writes Tomas Mowlam. The city of Amiens was the chief town of the medieval area of Picardie; it was fought over repeatedly, it suffered in WWI and WWII as well. St. Leu is the city’s medieval quarter, renovated throughout the 1990s it is a tourist attraction in its own right, with puppet shows in the Picard language called Chés Cabotans. 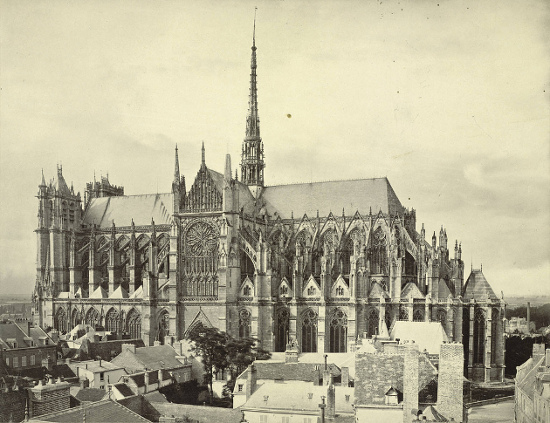 But towering above St Leu and the rest of the city, is Amiens real attraction, Cathédrale Notre-Dame d’Amiens, often simply called Amiens Cathedral it is one of the biggest ever Gothic buildings. Work started in 1220, construction was finished in 1266, and it took a further 22 years to decorate and finish. The nave vaults are 42.30 metres high, making them the highest in France. Supported by 126 pillars it has the largest interior of any French cathedral, and the vaults and buttresses give a staggering impression of space, designed to make mortals contemplate heaven and look skyward. Hundreds of intricate sculptures, carvings and reliefs adorn the walls with memorials to martyred saints and reminders what would happen to Christians who strayed from the flock. It was paid for by the proceeds of the cloth industry and, fittingly, one of the most glorious parts of the church is the Drapers Chapel. It even has a reliquary containing the head of John the Baptist a relic brought from Constantinople by Wallon de Sarton as he was returning from the Fourth Crusade. During laser cleaning in the 1990s it was discovered that the façade was of the cathedral was painted. After painstaking research elaborate lighting techniques were developed to light up the statues, and bring them to life. If you want to experience the wonder for yourself, then check out the Son et Lumière (sound and light) shows. With the church lit up, it gives you a spine tingling experience of how the cathedral would have looked in the 13th Century; the statues gaze down over the medieval congregation and the church dominates the surrounding town. Check out visit-amiens.com for details of cathedral opening times and other information. On the first day of her last year in her miserable reign as Queen of England, Mary Tudor – or Bloody Mary, as she was to be remembered – woke up to discover that Calais had been lost to the French. It was a desperate blow. Calais was to the Tudors what Gibraltar became to Georgians during the empire-building days later on. It was a toe-hold on the Continent: a place for plotting, for trading, for spying and for peacocking. And in 1558 – for the first time in a good few hundred years – it was gone. Any sensible person would have concluded that Calais had been lost forever. But four hundred and fifty two years later, in one of this year’s more peculiar twists, a number of French politicians are attempting to realign Calais’ identity as ‘British.’ And what’s more, they are doing it without being asked. Their motivation for such an odd move is to cash in on the expected millions that will be accompanying the Olympic Games into London in 2012. Calais, a number of town councillors have asserted, is a perfect destination for hundreds of travelling athletes, fans and journalists. 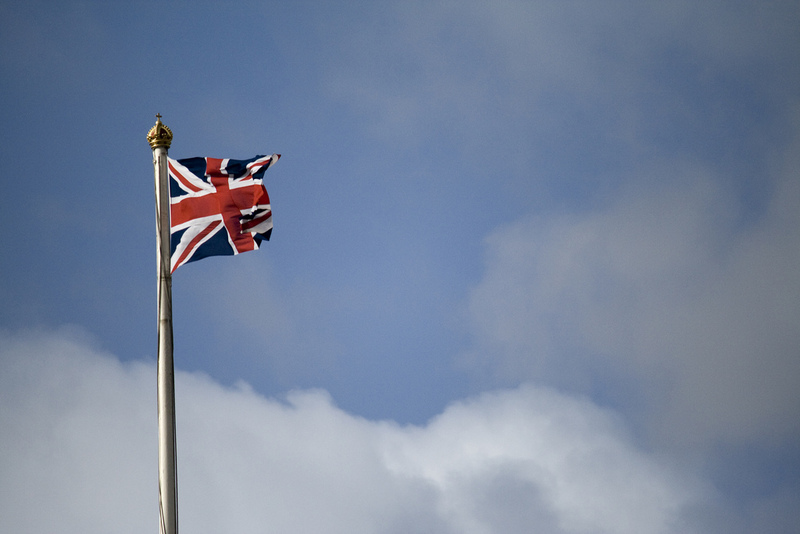 ‘We are the south of England and because we’re the south of England it’s normal that we would associate ourselves with this extraordinary event,’ claimed Dominique Dupilet, the chairman of the Pas de Calais regional council. Mr. Dupilet is at the centre of a drive to rebrand the town in anticipation of the Games. New hotels are being constructed alongside expensive training facilities, bars and restaurants. Moreover, Mr. Dupilet contends that as Calais is perfectly served by a continuous flow of ferries and trains that it’s excellently positioned to carry visitors into London in record speed. ‘It will take no more time to get to events than if you’re in North London,’ he told the Times. What might appear to be a rather far-fetched plan has already achieved a touch of validity after officials signed a contract with Chad’s boxing, wrestling, judo and athletics teams. More recently the canoe and kayak teams from Uzbekistan and Senegal also added their names to the list. It is a peculiar story and one which reminds us that national identities are no longer fixed – but fluid. We now live in a world where a city or town might be willing to swap it allegiance or identity for a short space of time in return for a few pennies and a bit of attention. Goodness knows what Mary Tudor would make of that. Six Nations Rugby; it’s kicking off! It’s fast, unpredictable and very violent, but we just can’t seem to get enough of the old smash and grab fest that is The RBS Six Nations. John Hillman looks forward to the upcoming slug off. 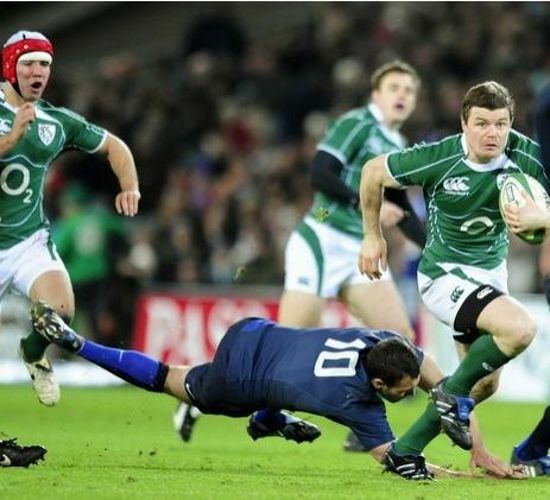 Saturday week sees the start of Six Nations Rugby, the biggest event in International Rugby after the World Cup. Rugby fans are about to be treated to six weeks of bone crunching tackles and breathtaking displays of warrior spirit. And with the rugby world descending on New Zealand for the World Cup, in 2011, all eyes will be on the approaching Six Nations in the hope of seeing some genuine world cup winning form from one of the home nations. It all kicks off at Croke Park, in Dublin, on Saturday 6th February and ends with a classic cross-channel bruise fest, France v England, on 20th March. There’ll be a few victory songs sung on the P&O Channel crossing that weekend we hope. So what can we expect? Will the champions, Ireland, manage to defend their title? Can Scotland improve on one win out of five? How will England’s Martin Johnson deal with having to rebuild his team, whilst remaining marginally competitive? Or will Johnny Wilkinson come back to rescue us from the doldrums? Do we all hope that France gets continually humiliated throughout the tournament? Of course we do. With Ireland and England both travelling to France, rugby fans may be interested in taking advantage of P&O Ferries’ special deals. You can take a car and up to nine passengers over to Calais from just £20 each way – that’s under £2.25 each. And while on board you stock up on loads of duty-paid beers, wines and spirits. Of course you could take the plane, but that would hardly be in the spirit of Henry V and Agincourt and all that, now would it? January in Paris is all about fashion, what with the sales still raging and Fashion Week now on the go. Rosie Khdir has also found an exhibition at Les Arts Décoratifs In Paris where one of city’s first couturiers is being celebrated. This week is not only the last in January, it is also your last chance to view the latest exhibition at Les Art Décoratifs, one dedicated to French fashion sensation Madeleine Vionnet. 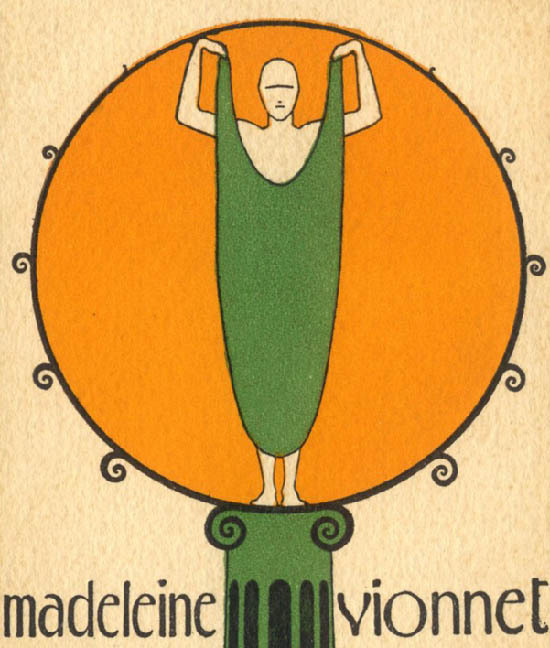 After founding her own fashion house called Vionnet in 1912, Madeleine went on to dominate the arena of couture thanks to her technique of cutting cloth. She used a bias cut to create a flattering a body-skimming style which would go on to revolutionise women’s clothing. Contrary to the corseting and restricting fashions of her elders, Vionnet created dresses that followed the natural form of the female figure. Her designs were inspired by her love for Ancient Greek art which followed a more simply and free-flowing style. Vionnet’s dresses were all about the emancipation of the female body while still maintaining a decorative edge. Visitors will be able to see for themselves the beauty of her creations in this exhibition, the first of its kind devoted to Madeleine Vionnet. Around 200 dresses, 750 dress patterns and 75 photo albums were donated to the Musée des Art Décoratifs in 1952 by Vionnet herself. A selection of these pieces created between 1912 and 1939 are on display to the public, in the show that focuses on her legacy and the ideas she left behind. Madeleine is thought of as one of the most talented couturiers of the 20th century and has inspired the likes of Azzedine Alaia and John Galliano. The exhibition ends on the 31st January 2010; visit the Les Arts Décoratifs website for more details. One of Holland’s best art museums, Gemeentemuseum Den Haag is putting on a beautiful exhibition of paintings by Russian artist Wassily Kandinsky, Tomas Mowlam reports. Kandinsky produced some his best loved works as part of the der blaue Reiter (the blue rider) art group in Germany, before Europe disintegrated in the First World War. Kandinsky, along with Franz Marc, August Macke, Alexej von Jawlensky, Marianne von Werefkin, Gabriel Munter, Lyonel Feininger and Albert Bloch came together to form the group in 1911. They had no central manifesto just a simple desire to express the spiritual through abstracting form and shape, and vibrant colour. They published just one almanac packed with writings, plays, and paintings, influenced by folk art and medieval European art. Their work is part of the midpoint between the impressionist style of artists like Van Gogh and the later complete abstraction; forms and shapes are blurred, but sometimes distinguishable. The innocence and simplicity of this art was not to last however, as the outbreak of war tore apart the group. Kandinsky, Jawlensky and Werefkin as Russian citizens had to move back to Russia. Others fared far worse; Macke was killed in Champagne in 1914 and Marc two years later at Verdun, both serving with the German army. Kandinsky became one of the most influential of all abstract artists, and as arguably one of the most famous members of der blaue Reiter it’s his work from the period which forms the focus of the exhibition. Born in Odessa in Russia in 1866, Kandinsky studied law and economics at the University of Moscow, before taking up art at the age of 30. By 1896 he had settled in Munich, a buzzing artistic city in the pre-war years, and from 1911-1914 he was part of the group, producing paintings which seem to glow with colour as the shapes flow into each other. He returned to Moscow in 1914, but left in 1921, unhappy with the new regime’s art theory. He then taught at the Bauhaus school in Munich, during the brief liberalism of the Weimar years, until the Nazis shut it in 1933 because it produced such “degenerate” art. He moved to France and he died on 13th December 1944 at Neuilly-sur-Seine. 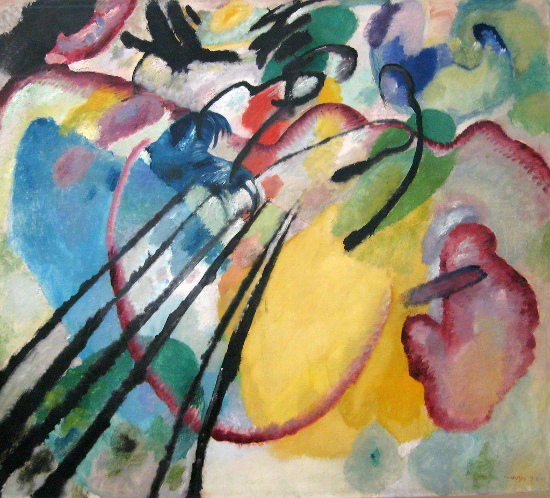 Kandinsky & der blaue Reiter runs from 6th February – 24th May, 2010, at the Gemeentemuseum in The Hague. Image Credit: *clairity photo of Wassily Kandinsky’s Improvisation 26, Rowing, 1912. The Netherlands is famous for its many beautiful castles, and this one is no exception. Rosie Khdir discovers the wonderful Duivenvoorde Castle. 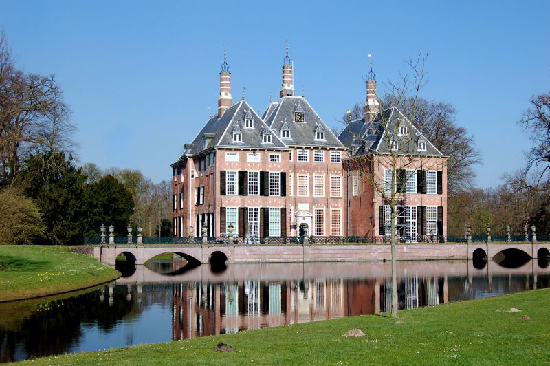 In the town of Voorschoten, not far from The Hague lies this 13th century castle, family manor and museum. As you drive down a tree-lined road you see surrounded by an English-style park, the red brick beauty with countless windows and a traditional moat surrounding it. As you enter the house you take a trip back in time through several centuries and cultures. What is special about this particular castle is that is has never been sold; it was always passed down through generations, whether directly or through marriage, The last owner of the house was Jonkvrouwe Ludolphine Henriette, Baroness Schimmelpenninck van der Oye who upon her death left it in the care of the Duivenvoorde Foundation. The house has been open to the public since 1960 with the central part and the north wing of the castle decorated as if they were still inhabited by Barons and Baronesses past. Visitors can wander through the grand rooms scattered with antique furniture and family portraits. As well as admiring architecture, by Huguenot Daniel Marot who also designed and decorated the stunning Great Hall in 1717, visitors can view the international collections of books pottery and porcelain. The castle exhibits collections of gold and silver metalwork, pottery, glass, porcelain, furniture, oriental art and has a delightful garden and botanical display. If you have a love for art, for history, for beautiful slightly gothic architecture and English landscaping then Duivenvoorde Castle is the place for you to visit. The castle is open Tuesday to Saturday and you can visit the site for more details. The Loire valley is one of the most idyllic parts of Franc; combining charm, delicious food and wine, gorgeous summer weather and all at the slow and winding pace of the Loire river, reports Tomas Mowlam. Many tourists cross the river through this beautiful countryside, as they flit about France, but one of the best ways to see the area is to follow the Loire at its own unhurried pace; so on yer bike! Cycling allows you to experience the countryside, gives you freedom to move and is above all a clean and green way of getting about, she French government established the Loire à Vélo route. The 800 km route is accessible by 20 rail stations and 300 bus stops, which means you can pick and choose the best parts of the trail you want to cycle. Either do it yourself with a map, picking out points of interest such as St Brevin’s white sandy beaches, Sancerre famous for its wines, or Tours mediaeval streets. 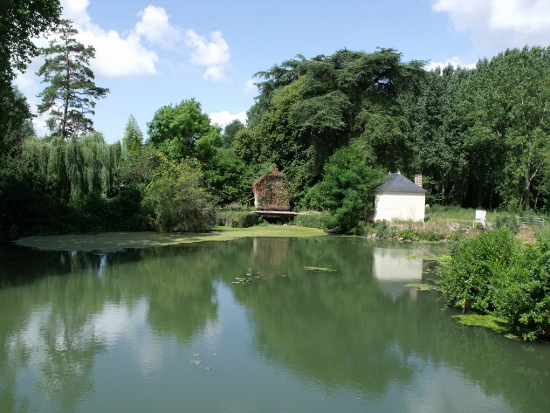 Alternatively try one of the readymade itineraries like the Chateuaux trail that takes you through Lestiou, Blois and Conde-sur-Beuvron; 51 km trail of luxurious stately homes. Of course the Loire is known for its wines, so why not wobble your way through a vineyard trail. Click for details. There’s plenty of wildlife along the river with boar, deer, 1,450 species of plant and even beaver, to keep you occupied in between the wine. The Loire was the frontier between England and France during much of the Hundred Years War which is why there are so many castles dotting the landscape, like the fortress town of Angers. Check out the Romanesque art of the Royal Abbey of Fontevraud, the Gothic Saint-Gatien Cathedral in Tours or the Cléry-Saint-André Basilica. All beautiful churches carved in the local soft limestone – tuffeau. The project started in 1995, to make the most of the valley, a UNESCO World Heritage Site. €52 million was spent making bike trails, signs and everything else to make this a hassle free ride. Look out for accommodation with the Accueil Vélo sign, which means that it’s accredited for the trail and cyclist friendly, probably providing services such as baggage forwarding so you can keep riding light. Over 6000 sailors used to ply the river from Nantes to Orleans during the 19th Century, in traditional boats called chalands, toues, gabares and fûtreaux. But now the wharves and docks are quiet, and the river only disturbed by pleasure boats. So hop on your bike and peddle alongside.